Never run from a bear! “Never run from a bear”, is a motto of American ranger and bear expert, Gregg Losinski. Slovakia is a country with a substantial population of brown bear and the Slovakian society has already been exposed to the challenge of how to coexist with this marvellous animal for many years! American ranger and bear expert, Gregg Losinski already several times visited Slovakia and is fully aware of this challenging situation. Currently he is spending a month at the Matej Bel University in Banska Bystrica through the Fulbright Scholarship Program of the U.S government. Besides many other things he’s also providing a number of presentations, lessons and interpretive talks sharing his experience on this subject. .. an American “ranger”, constantly working in the nature protection for more than 32 years. He has got an extensive knowledge and experience as for the large carnivores, especially bears, national park service. He has been able to reduce the conflicts between the humans and bears in many areas. He cooperated with, Slovak Wildlife Society and during this autumn he is going to held many lectures for Matej Bel University students but also for the public. 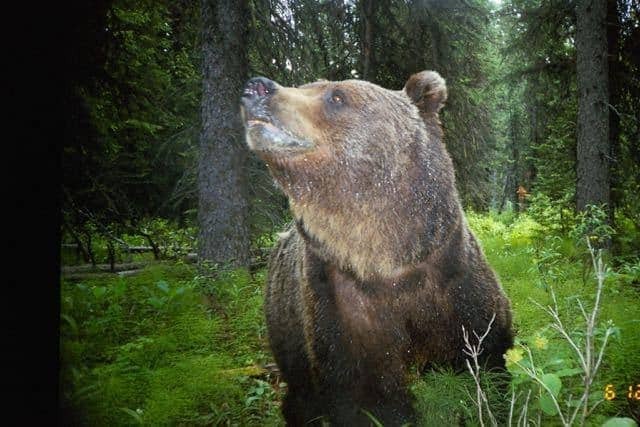 He is the Chairman of Information & Education Subcommittee at Interagency Grizzly Bear Committee, Yellowstone Ecosystem Subcommittee, Idaho Dept. of Fish & Game, and Regional Conservation Educator. He aims to continue work on reducing human/bear conflicts in Slovakia through education, public outreach, and improved sanitation.